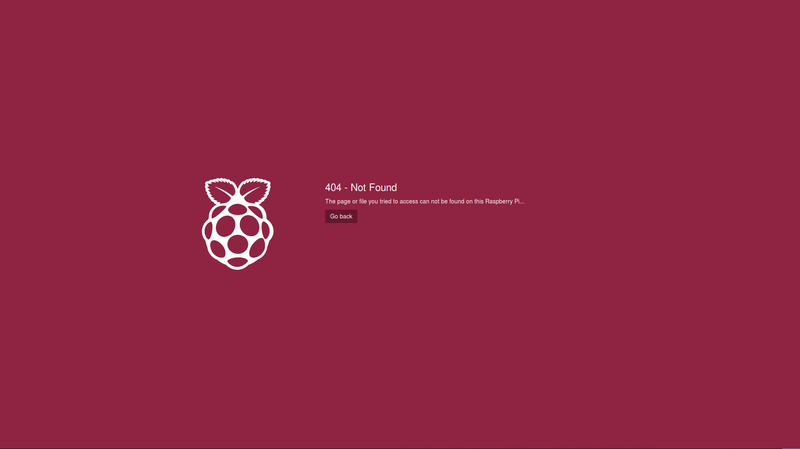 Want to be notified of new releases in marc0tjevp/Error-Page-Raspberry? Custom error page for Apache2, with a Raspberry look and feel. You can add the following lines to your Apache config or .htaccess. You can add status codes to the page by adding an array to the $codes variable. The first entry is the title which shows as an h3 tag on the page. The second entry is the description right beneath it. You can also add buttons for specific status codes. You can add the link for this button in the array. The title of the button is handeled in the style.css file. In the error.php file, change the standard "/error/" in all file paths to your folder. You can also use "$_SERVER['DOCUMENT_ROOT']" if you need to.